• Protect your passport with this fun cover - also it helps when you are looking for your passport in your bag or luggage. • If you are traveling with family members, each can have their own cover - easily distinguishing one passport from another. 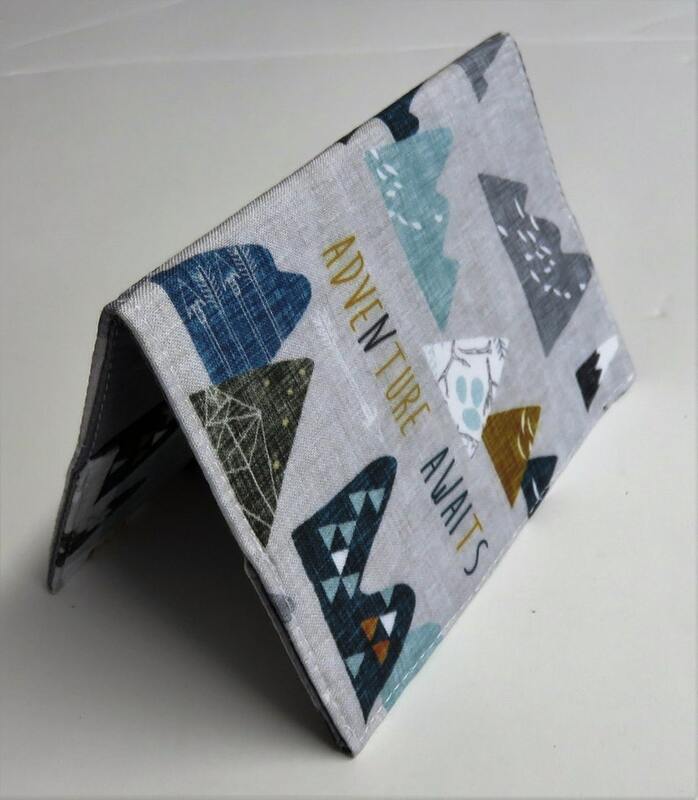 • Adventure Awaits - Multi Color Mountains Peaks on Gray fabric for the outside and Gray cotton fabric for the lining. There are 2 pockets - slip the front and back covers of your passport in the pockets - or into 1 pocket and use the other for other items/documents. • Size is 5.5" tall x 3.75" wide (13.75 x 9.5 cm) when closed. Most passports will fit, please measure your passport before purchasing. Great quality and great seller!